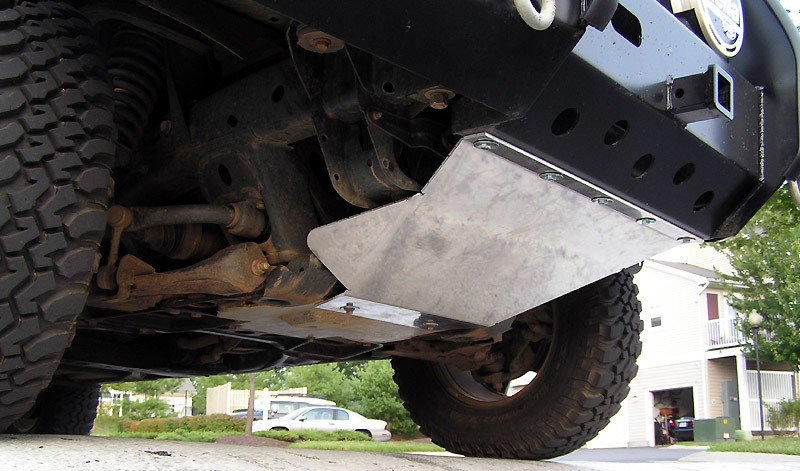 Well, with the original design, the radiator stuck down below the bumper by a few inches. I've been very cautious lately with rocks because of this. 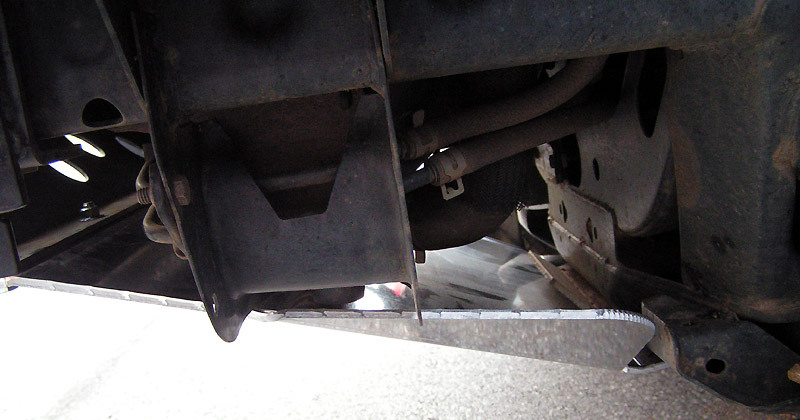 The lower endcap of the radiator is extremely susceptible to road and trail damage when it's hanging out like that. So it was time for some protection. Finally, the finished product, thanks to BartonMD! Thanks Mike! 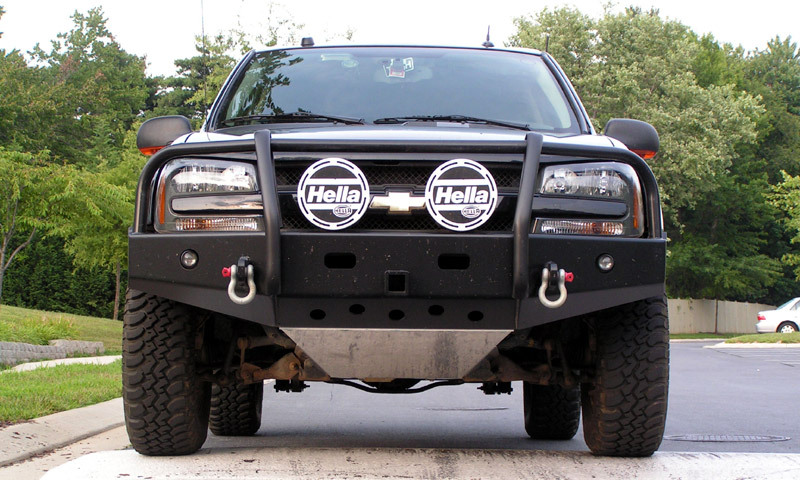 The bolts used are Mike's bolts from the oil pan skidplate, and five grade 5 bolts attach at the bumper. Should be plenty to keep the skidplate in place. This photo gives you a view of the inside of the plate. 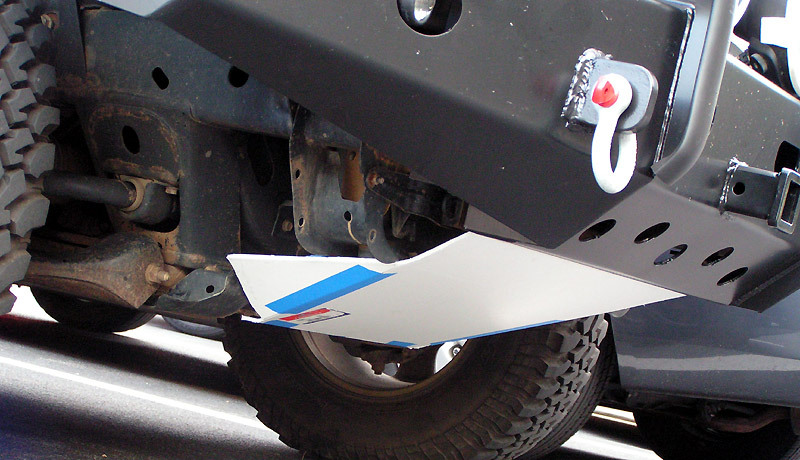 It mounts to the bottom of the bumper so the bolts won't be stressed in tension if the plate takes a hit. 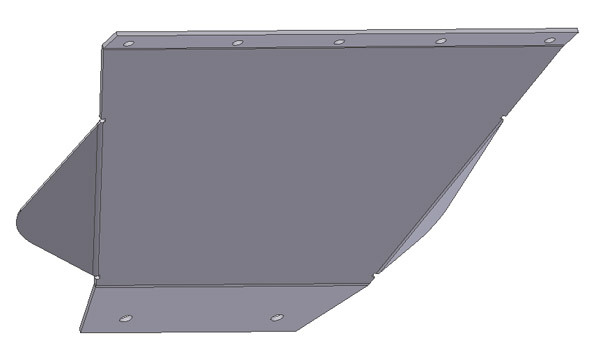 On the engine side it is further reinforced by the oilpan skidplate, as it shares the same bend point. There's about a 1/4" of clearance to the radiator brackets... just enough to provide protection in case I bend the plate.